A new and incredible test has been successfully completed in this month: a new automated, flying ambulance completed its first solo flight. 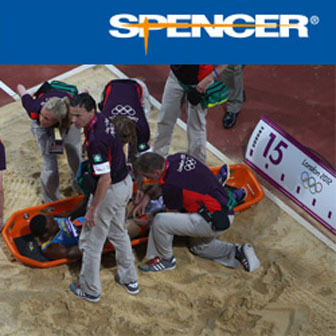 This represents a potential solution for challenging search and rescue missions. This sort of device could result very useful in completing missions in rough terrain or combat and tricky zones. Helicopters in general currently offer the best transportation option in most cases, but they need clear areas to land, and in the case of war zones, helicopters tend to attract enemy fire. It was an Israeli company, Urban Aeronautics, to complete a test flight for a robotic flying vehicle that could one day go where helicopters cannot. The autonomous vehicle is designed to eventually carry people or equipment (as reflected in its former name, the AirMule) without a human pilot on board. 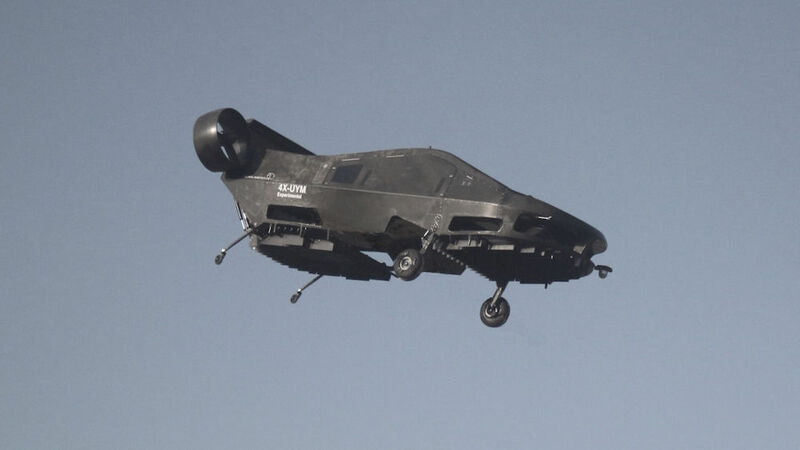 Urban Aeronautics affirmed the test was “a significant achievement for a student pilot, human or nonhuman,” and declared the company is “proud” of the vehicle’s performance. The Cormorant, flying ambulance’s name, uses ducted fans rather than propellers or rotors to fly. These fans are effectively shielded rotors, which means the aircraft doesn’t need to worry about bumping into a wall and damaging the rotors. 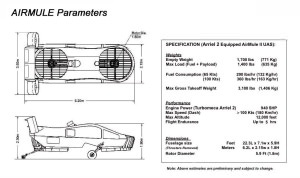 Another set of fans propels the vehicle forward, according to Urban Aeronautics. The robotic flyer pilots itself entirely through laser altimeters, radar and sensors. The system is “smart” enough to self-correct when it makes mistakes, company officials said. Watch the video below, released by Urban Aeronautics. Here the Cormorant tries to land, stops itself and then corrects its landing position. The company assures that, the vehicle has a decision-making system that can figure out what to do if the inputs from the sensors are off in some way. If the Cormorant detects a potential issue, the drone’s robotic brain can decide what to do: go home, land and wait for more instructions, or try a different flight path. 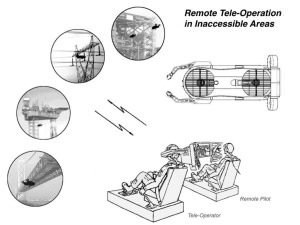 However, Urban Aeronautics still needs to refine some parts of the technology. For one, the test flight wasn’t very long, lasting only a minute or two. And though the terrain was irregular (as in, not completely flat), it was still an open field without any real obstacles on either side. Further tests will look to improve how smoothly the aircraft goes from takeoff to level flight, and to increase speed and maneuverability, the company said in a statement. AirMule – write on its website Urban Aeronautics – offers much needed capabilities to emergency responders in routine, day-to-day operations as well as in the most challenging situations such as earthquakes and floods. The ability to quickly deliver water, food and medical supplies directly to affected populations—no matter how isolated—will save lives. During nuclear, biological or chemical emergencies AirMule offers transformative assessment and response capabilities. Day to day multiple mission capability (electric grids, bridge inspection, agricultural spraying, offshore oil platform support to name a few) makes AirMule a cost effective addition to any commercial helicopter fleet. AirMule equipped as a tactical Unmanned Aerial System (UAS) can help combatants reclaim an essential edge by enabling precise point to point logistic support and CasEvac solutions in battle conditions that are increasingly averse to conventional rotorcraft access. Today’s conflicts are increasingly defined by insurgents whose battlefields of choice are cities, villages and other environments that are inaccessible to helicopters. Supply convoys and medical teams entering these locations experience lethal threats unlike any that have been experienced in the past.